Will elderly Malaysians enjoy sustainable, affordable and quality aged care services someday? MALAYSIA’S ageing population is receiving considerable attention in the media and in government circles these recent months. There is a profound social shift taking place which requires an equally profound shift in society’s mind set about ageing. Humans have strived for centuries to live longer; to cheat death. But the social change driven by our longer lives brings challenges, and for some, economic opportunities in the healthcare services industry. Currently in Malaysia, the aged care needed by older people is delivered by government welfare homes (public sector), private nursing homes and care centres (for-profit) and voluntary aged care centres (non-profit, charitable) organisations and by families at home (with informal care). Within this diverse mix of services delivered by different agencies, each option has different funding bases. The Malaysian aged care industry lacks enforcement, clarity and transparency in governance and framework. When help is needed, we as consumers, encounter frustrations and disappointments. In terms of the nursing homes with quality age care services and skilled staff, there is increasing demand but a lack of supply. Such a situation warrants immediate attention from the Government to ensure the evolution of a viable aged care system as we progress towards a high-income level society. In recognition of the growing need for aged care, the Government has created Healthcare National Key Economic Area (NKEA) entry point projects for senior living within the Economic Transformation Programme (ETP). In the Healthcare NKEA handbook, it clearly states: “This growing segment of consumers is likely to create a need for outpatient care including seniors living facilities. “Seniors living care resides in the middle of the outpatient care continuum between post-operative check-ins on one end and acute care nursing homes on the other. The long-term goal is to create a number of centres offering assistance to people who need help with the activities of daily living, but wish to live as independently as possible, for as long as possible”. We know that moving into aged care facilities can be a stressful time for all involved. Working through the financial uncertainty can be just as overwhelming. A range of factors need to be considered in relation to aged care homes and understanding how these factors impact each other can make the process all the more demanding. The key factors leading to enjoyable and sustainable aged care services vary quite noticeably on a case-to-case basis. It is unique to the person and difficult to predict. Similarly, the mechanisms used to pay for the services will differ markedly, including, amongst others, payments from personal savings, insurances and financial assistance from family. The level of care a person needs is affected by their changing health and physical condition. And the duration of the care needed, and thus the cost, is never predictable. Higher level of care needs will cost more depending on medication and clinical services required. Often, there are major drawbacks in monitoring and payment of these services when it is shouldered by the aged care users who are already frail or maybe even cognitively impaired. If family members might not be around to help, the individual elderly person will have little bargaining power with the service providers for quality and affordable services. There is also a risk of exploitation by service providers. Even if there are operators providing aged care services and financial advisors are available to provide financial planning advice, the self-directed payment system does not offer a guarantee of sustainability of care provision until end of life for the individuals. There is simply no sustainable integrated mechanism available for us to ensure sufficient funding for elderly Malaysians who need care. Other than personal savings for retirement, there are limited financial protection programmes other than Employees Provident Fund (EPF) for payment of hospital expenses (from Account 2), employment injury for private sector workers under the Social Security Organisation or Socso, the Armed Forces Fund Board, Pension Scheme for government staff and social welfare programmes under the National Welfare Department. While the social protection programmes are limited to the formal sector, the self-employed and unemployed including housewives are often excluded from these programmes. As a progressive nation, it is necessary for the Government to prioritise the need to frame an aged care financing programme for the aged care needs of elderly Malaysians from different demographic and socio-economic levels. The new Minimum Retirement Age of 60 for private sector and the implementation of Private Retirement Scheme by the Securities Commission indicate the need to boost the ability of Malaysians to make and save more money for retirement and aged care needs. Will these initiatives put future Malaysians in a position to pay for their aged care needs? EPF is often thought of as the central contributor to income security for the elderly. The current arrangement has been found to be inadequate to meet retirement needs (not to mention aged care needs) because of increasing cost of living and medical expenses. Families have become the central welfare provider both in monetary terms as well as in the provision of social support to the elderly. It is not surprising that the most common source of support for the elderly is money from adult children. Although inter-generational relationships may presently be in flux, both co-residence and reliance on family assistance are outcomes for most elderly Malaysians. Time is the essence for us to determine if Malaysia will achieve the Healthcare ETP objectives. Will elderly Malaysians enjoy sustainable, affordable and quality aged care services someday? ● Reform the aged care services industry so that supply meets demand. ● Provide better information to consumers to allow greater choice and control. ● Address workforce issues in aged care services. ● Improve the equity and sustainability of aged care financing instruments and products. ● Improve returns on investment in residential care centres and homes to encourage capital investment and quality care instead of passing the costs to consumers. ● Introduce legislation to control possible exploitation of aged consumers. ● Support better links between aged care services and wider health system in urban and rural areas. 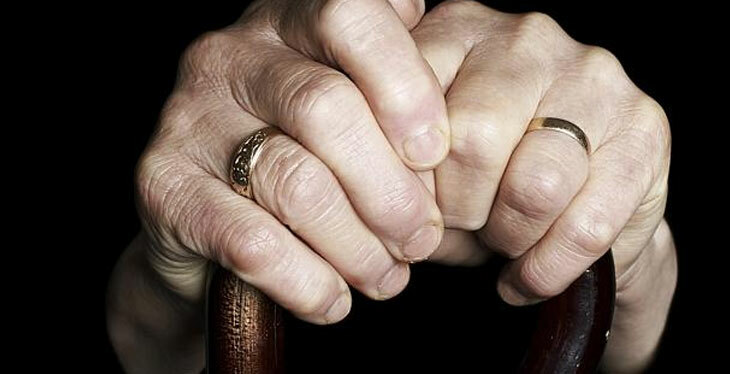 PETALING JAYA: A new law to ensure that senior citizens will be cared for with integrity and dignity is expected be tabled in Parliament when it meets in October. Health director-general Datuk Seri Dr Noor Hisham Abdullah said the Aged Healthcare Act, currently being drafted, would regulate private institutions and community care providers for those aged above 60. “The Act is to ensure there will be a minimum quality of care for aged persons in an accessible, affordable and sustainable manner. “Details of the proposed standards are still under discussion,” he said. The next Dewan Rakyat meeting is to take place from Oct 7 to Nov 27. Dr Noor Hisham said the other aims of the Act were to ensure the well-being of the aged, encourage aging with independence and regulating unregistered nursing homes. The Health Ministry, he said, was studying healthcare models from countries such as Australia, Japan, South Africa and Singapore in drafting the law. “With the Act, healthcare service providers for persons aged 60 years and above will be governed under this Act,” he said. “Those already registered under the Care Centres Act will continue to be governed under the Act, until the expiry date of their operating licence. “After which they have to be registered and governed under the new Aged Healthcare Act,” Dr Noor Hisham added. However, he said institutions licensed under the Private Health Care Facility Act could continue to operate, as the standards set by this law was sufficiently high. Dr Noor Hisham stressed the need to introduce the Act as the lack of such a law would compromise the standard of care and dignity of senior citizens. “The country’s population is moving towards an aged nation by 2030, where it is estimated that 15% of our population will be aged 60 years and above. “Currently, this age group comprises 8.4% of our population,” he said. Dr Noor Hisham said it was timely to have a mechanism to govern all institutions and care providers for the aged. “From discussions with stakeholders, it is anticipated that the demand for care services for elderly by the year 2030 is expected to increase. “There has also been a mushrooming of many institutions and healthcare service providers which have yet to be regulated in terms of the quality and cost of their services,” he said.